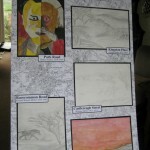 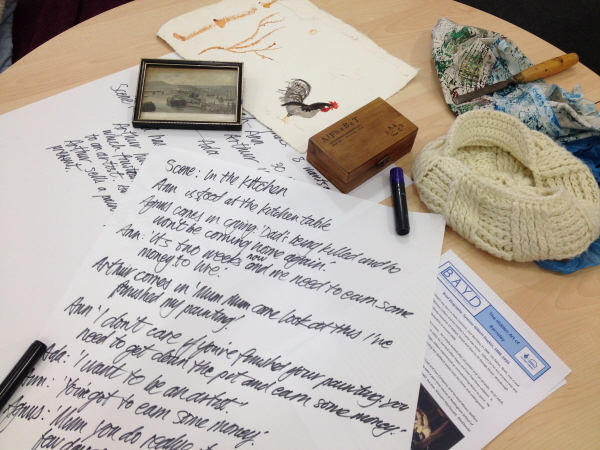 There were many entries for our competitions and we were delighted with the effort and inspiration that went into them. 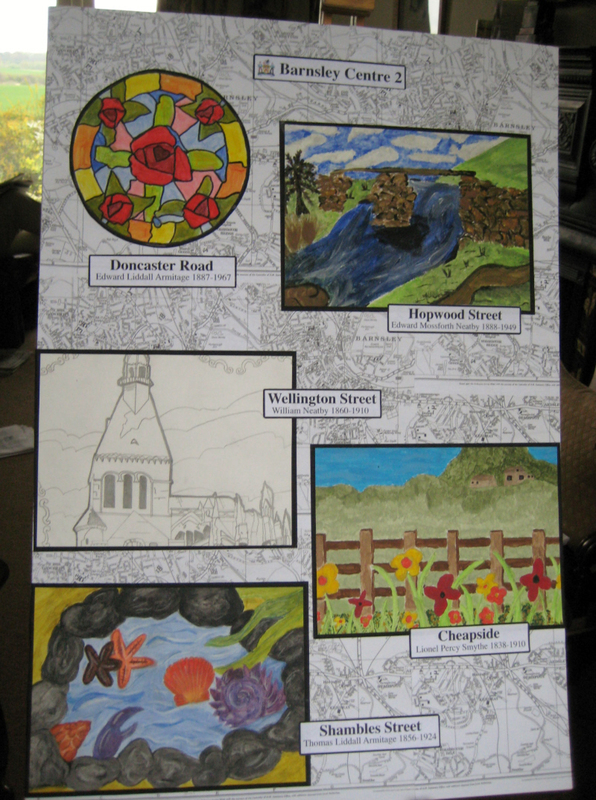 The talent of our budding Barnsley artists shone through. 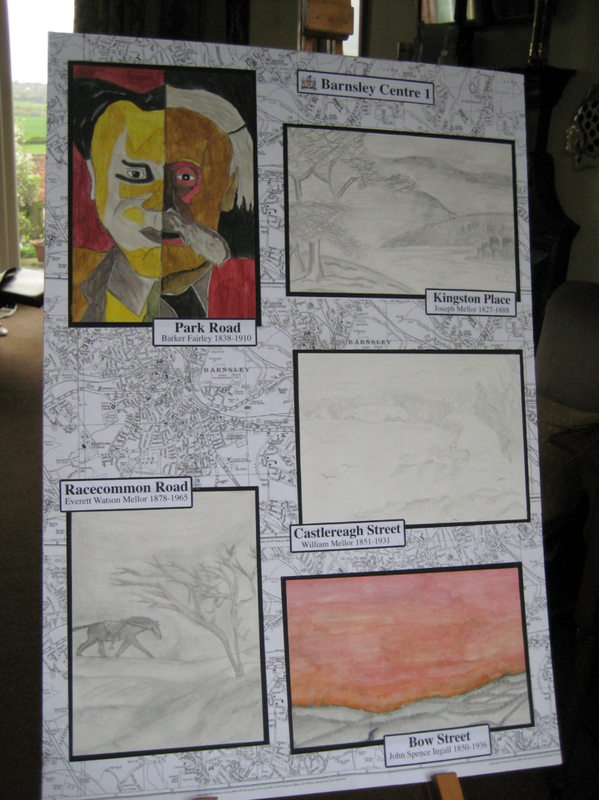 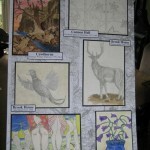 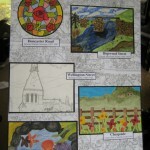 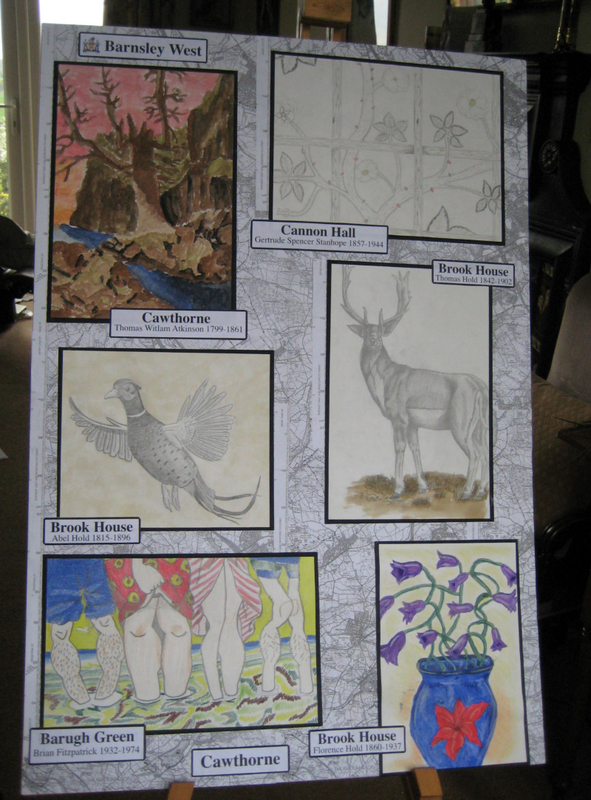 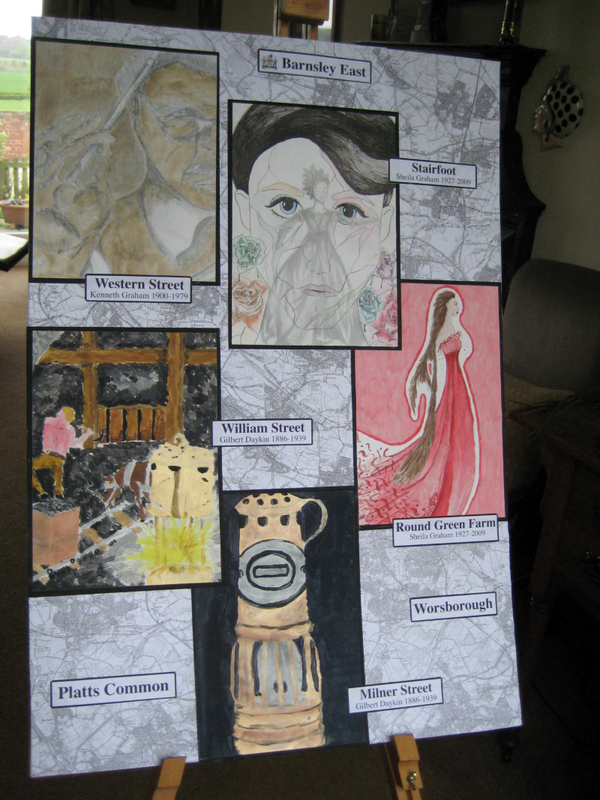 The winning posters were printed and displayed in libraries, schools and other buildings throughout Barnsley. 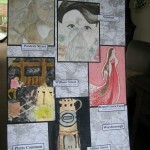 They were pupils from Queen’s Road Academy and the winning entry was displayed in our exhibition at the Cooper Gallery. 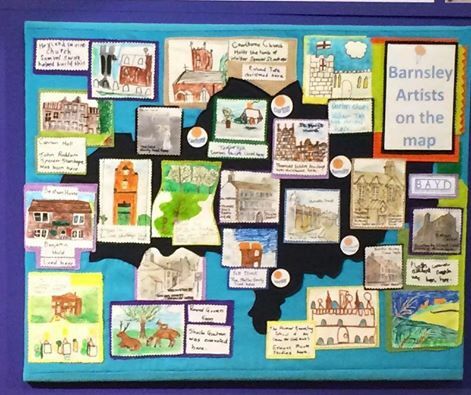 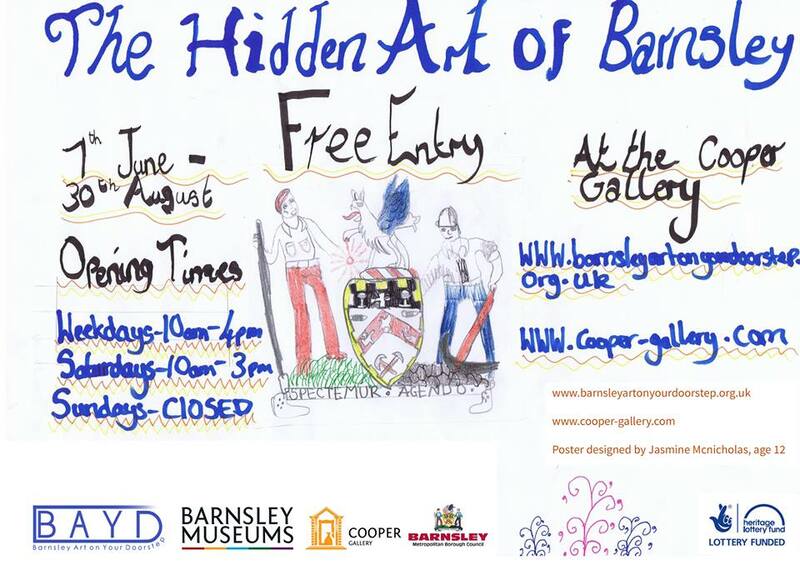 Create a map showing the Hidden Art of Barnsley, illustrating the places around Barnsley where the artists lived and worked. 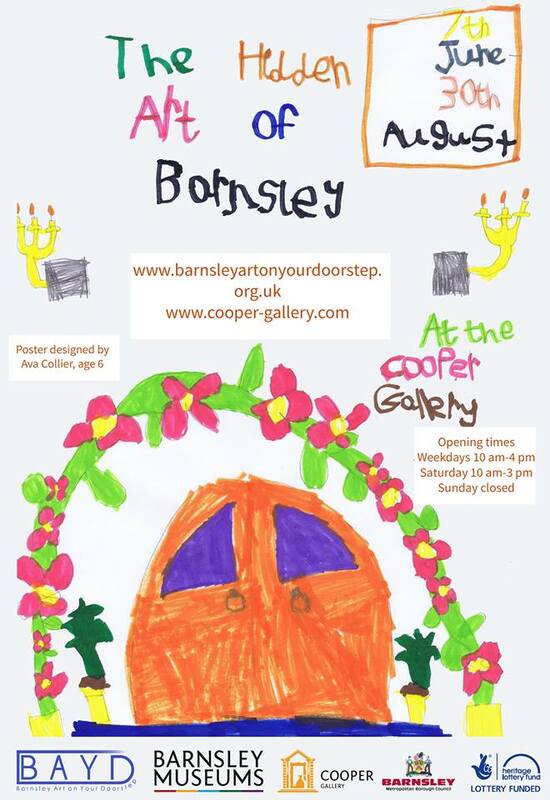 The winning entry was displayed in our exhibition at the Cooper Gallery. 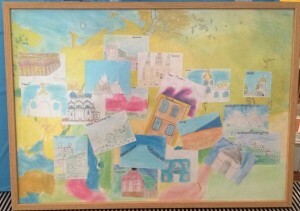 It was mounted in the middle of a collage of photographs of our Hidden Artists. 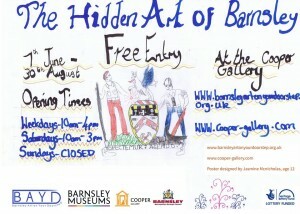 Make a short film about a child growing up in Barnsley’s glassmaking, linen weaving or coal mining industries. 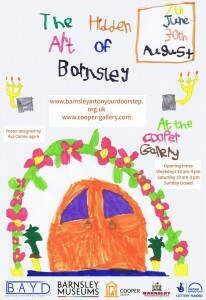 The films made, including the winner, were shown in the Cooper Gallery. The winning film was made at KidzRLoud, the holiday club at Horizon Community College.